All’s Faire in Middle School by Victoria Jamieson. September 5, 2017. Dial Books, 248 p. ISBN: 9780525429982. Int Lvl: 5-8; Rdg Lvl: 3.6. 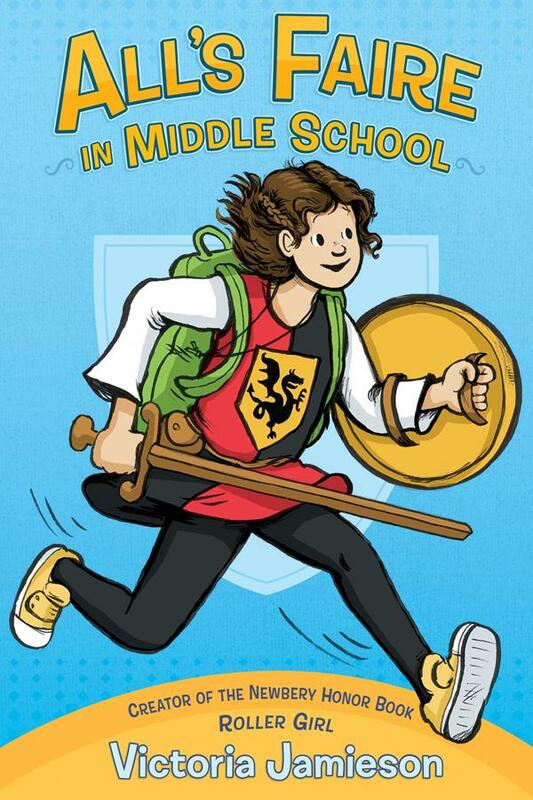 The author of Roller Girl is back with a graphic novel about starting middle school, surviving your embarrassing family, and the Renaissance Faire. Grades 4-7. After years of homeschooling, Imogene is excited to start public school for the first time. Plus, she finally gets to perform in the Renaissance faire, where her mom has a shop (or, shoppe) and her dad plays a knight. Imogene doesn’t have much trouble sliding into her new role at the faire, but middle school is another story. Rules about who to sit with, what to wear, and how to fit in are confounding, especially when she’s getting some seriously mixed messages from the popular girls in her class and realizing how different her family is. Jamieson’s appealing, naturalistic artwork, full of warm tones, realistic-looking characters, and saturated colors, playfully incorporates medieval imagery along with Imogene’s more mundane homelife, particularly when Imogene fears that her misbehavior at home, thanks to frustrations at school, makes her more of a dragon than a knight. Jamieson masterfully taps into the voice and concerns of middle-schoolers, and the offbeat setting of the Renaissance faire adds some lively texture. Kids who loved Jamieson’s Roller Girl (2015) will adore this one, too. 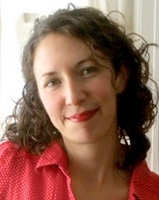 Victoria Jamieson is the creator of the Newbery Honor winner Roller Girl. She received her BFA in Illustration from the Rhode Island School of Design and worked as a children’s book designer before moving to Portland, Oregon and becoming a freelance illustrator. She has also worked as a portrait artist aboard a cruise ship, and has lived in Australia, Italy, and Canada. She maintains a not-so-secret identity as Winnie the Pow, skater with the Rose City Rollers roller derby league and has a not-so-secret past as a Renaissance Faire groupie.